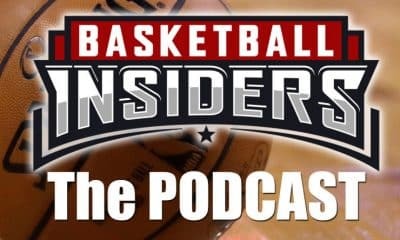 Jordan Hicks continues Basketball Insiders’ division-by-division Post-Deadline Rankings series with a breakdown of the five teams in the Southwest. 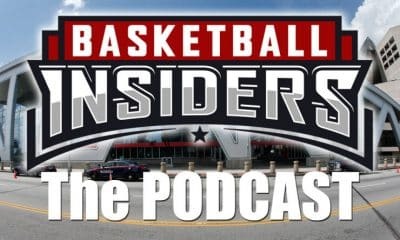 Throughout the week, Basketball Insiders has released post-deadline rankings on teams in various divisions around the NBA, and next up is the Southwest Division. The Southwest is incredibly diverse this season. It features a team that is gunning for the NBA Finals, teams that can’t decide to what extent they want to tank and everything in between. Regardless of where the teams stand, there was plenty of movement throughout. 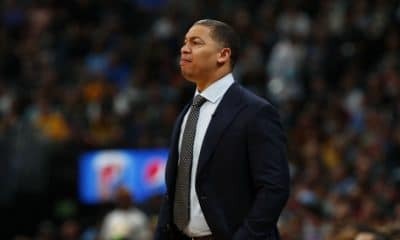 Let’s take a look at what changes occurred and how it will affect their respective team’s record through the end of the season. The Rockets are certainly in a different place compared to where they were at this point last season. 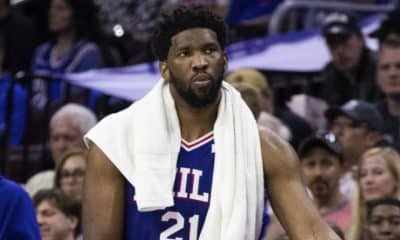 They still have a winning record, they still appear to be headed to the playoffs and James Harden is still playing ball at a historical level – yet they have about 10 less wins. Harden is in the midst of one of the greatest offensive stretches of all time. He’s now notched 30 or more points for 30 straight games, joining an elite list featuring himself and Wilt Chamberlain. Despite his heroic efforts, injuries to key players Chris Paul and Clint Capela – coupled with the offseason departure of key players Trevor Ariza and Luc Mbah a Moute – have severely limited any success the Rockets were due. The Rockets were able to acquire Kenneth Faried in the buyout market a few weeks before the trade deadline and his presence has helped the hobbled Rockets to a 7-5 record over the period. He’s playing the best basketball of his career, likely a result of being on the same court as Harden. Adding Shumpert via trade allowed the Rockets to get below the luxury tax as well as bolster their defensive presence on the wing. Losing Ariza and Mbah a Moute severely hurt the Rockets’ defensive abilities, so adding Shumpert will certainly hamper the bleeding on that end of the court. With Harden, Eric Gordon and Chris Paul healthy, the Rockets are quite productive on offense, so Iman will certainly help Houston get key stops on the defensive end of the court. While Shumpert doesn’t totally improve the Rocket’s chances of a repeat to the Western Conference Finals, his acquisition definitely doesn’t hurt. The Spurs decided to stand pat this trade deadline – just like they have the last few years. This wasn’t necessarily a bad move as they would’ve likely needed to make some major moves to essentially move the needle, and that just wasn’t going to happen. Pau Gasol has fallen out of the rotation, but he’s getting too old to garner any serious interest in the trade market. LaMarcus Aldridge and DeMar DeRozan were both likely off the table due to the fact that they are the main reasons the Spurs are even still in the playoff race. 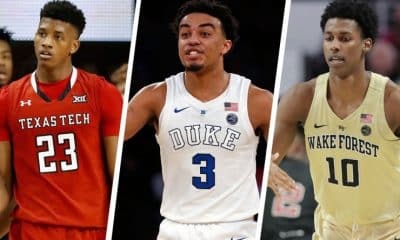 And if the Spurs keep up their play, their first-round pick in 2019 will likely not be that prized as it would essentially unfold in the latter half of the upcoming draft. With the sudden departure of Kawhi Leonard, most Spurs followers were probably expecting to miss the playoffs in the stacked West. Lo and behold, they are in the thick of the playoff race and don’t appear to be dropping out anytime soon. In order to get back to championship contention, San Antonio will likely need to retool their roster. Aldridge and DeRozan are both leaving their primes, and their only significant young piece to build off of is Dejounte Murray, who was sidelined the entire season to an ACL tear. The Spurs clearly have a lot of questions to tackle this offseason, so not wasting resources for a potential first-round exit was likely a smart move. The Mavericks likely made the biggest splash during the trade deadline and were certainly responsible for the first major domino falling. 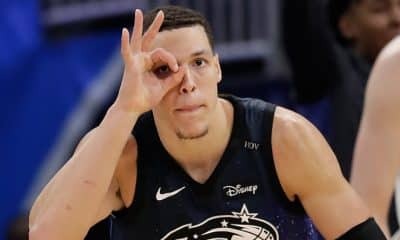 They essentially traded their entire starting five – sans Wonderboy Luka Doncic – and added valuable assets for the future. Porzingis will likely not suit up this season as he continues to rehab his knee from an ACL tear last season at this time. But pairing him with a shoo-in Rookie of the Year winner in Doncic can definitely lead to a fun dynasty in Dallas. Taking on Hardaway’s contract was definitely part of the deal, but Hardaway at least adds a decent amount of value on the offensive end. Shedding Harrison Barnes salary in a trade with Sacramento can very well open up a max slot this summer, and Dallas is banking on bringing in a third star to pair with the future Porzingis-Doncic duo. The trade was definitely not made to bolster their chances of the playoffs this season – if anything it made the odds of them making it much worse – but Dallas is in a good a place as any team in the league moving forward. This was a very strange deadline for the Grizzlies. Both Mike Conley and Marc Gasol, the two players essential to the aging Grit-and-Grind era, were made heavily available in the weeks leading up to the deadline. Memphis ended up sending Gasol to Toronto, but for whatever reason couldn’t find a home for Conley – despite heavy interest from a handful of teams. 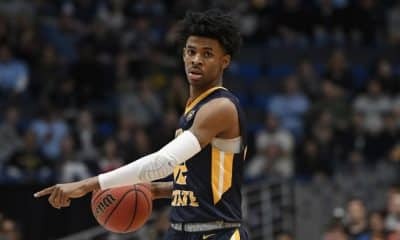 Conley, who isn’t getting any younger, is now stuck on a team that isn’t quite sure what direction they want to go in. It seemed very apparent that he was going to be traded – you could see it in his face during his last couple of interviews as a Grizzly – but for whatever reason, Memphis decided that no team was willing to offer their specific asking price. There is still a chance that Conley is moved over the summer, but it’s obvious Memphis will not get nearly the same haul they were asking for this past deadline. Keeping Conley on the roster will certainly not improve their chances of a higher draft pick, so it will be interesting to see how Memphis uses him through the rest of the season. As for new additions to the team, Wright has an opportunity to get more minutes at point guard than what he was getting in Toronto. Valanciunas will automatically be plugged into the starting center role, and if you look at his numbers so far this season, he’ll likely provide the same punch Gasol did on offense. Avery Bradley is an ideal fit for Memphis, but are the Grizzlies still trying to win? Only time will tell. While the Pelicans didn’t make any moves, one could argue that keeping Anthony Davis in and of itself was an acquisition. After he demanded a trade, it felt almost imminent that he would be sent elsewhere. 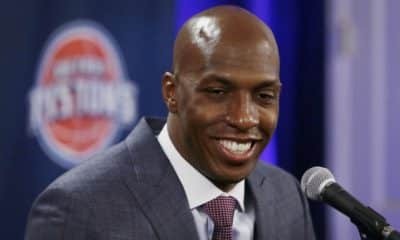 We know that the Lakers actually offered multiple deals, and other teams showed a legitimate interest, but at the end of the day, general manager Dell Demps decided to hold onto Davis until at least the summer. They ended up sending Nikola Mirotic off for four second-round picks but weren’t able to find homes for Julius Randle or Davis – players they were actively shopping. Reports are surfacing that the Pelicans wanted to sit Davis out the entire rest of the season, but that NBA did not want them to do that. This makes things even more difficult for a franchise that for some reason couldn’t find success with arguably a top-five player on their roster. New Orleans would be better off losing a handful of games as the season continues in hopes of landing a higher draft pick in the summer. But being forced to play Davis could certainly complicate things. Look for a few teams to call the Pelicans in the summer about both Davis and Jrue Holiday – each has at least one year left on their contracts and will likely want to play for teams competing for a championship. They probably could have gotten decent offers for both Holiday and Randle before the deadline, but by not pulling the trigger, it’s obvious they are hoping for some better offers after the season. Like mentioned previously, this division is diverse with both win-now and build-now teams. A lot can change in a short time, as the Pelicans were likely penciled in as the second best team in the Southwest to start the season. 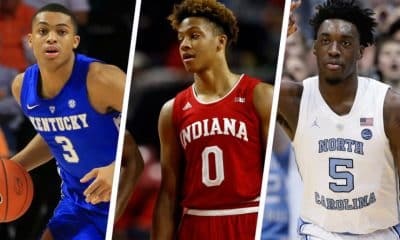 The future didn’t look all that bright in Dallas at the end of last season, but after drafting a future perennial All-Star in Doncic and pulling multiple savvy moves before the deadline, their future is gleaming. While none of these teams appear ready to make a championship run this postseason, let’s not forget that the Rockets were only one game – some may say one hamstring – away from dethroning the Golden State Warriors in the West last year. They are clearly a less talented team than last season, but their mainstays are still there. If healthy, they could definitely make noise a second year in a row. As for the rest of the conference, no one really made any “win-now” acquisitions. As such, the remaining four teams will look to develop their current rosters over the break. That, coupled with any surprise free agent signings, could easily have just about every one of them back in the postseason next year. Jordan Hicks is an NBA writer based out of Salt Lake City. He is a former college athlete and varsity sports official. Find him on Twitter @JordanHicksNBA. Even without LeBron James in the playoffs, there are plenty of historical narratives worth keeping an eye on — from steals to blocks, there’s plenty up for grabs. When LeBron James missed out on the postseason for the first time in 14 years, he left a massively large hole in the proceedings. After all, James had dragged his squad to the NBA Finals in eight consecutive seasons, dating back to his inaugural season alongside Dwyane Wade and Chris Bosh down in Miami. Without James, in a way, the playoffs seem just a little bit emptier. But it goes past his hulking status as a legend or his ability to dominate the headlines throughout the work week — literally, his box score is a standstill, collecting dust for once. James already owns more postseason points than anybody in NBA history with 6,911. That’s more than Kareem Abdul-Jabbar, more than Kobe Bryant and more than Michael Jordan — all by the age of 32. Unsurprisingly, James is also the active leader in nearly every other category as well — games, minutes, field goals, rebounds, assists and steals. The absence of James and a few notable other leaves the 2018-19 playoffs in an intriguing position in terms of the historical ladder. 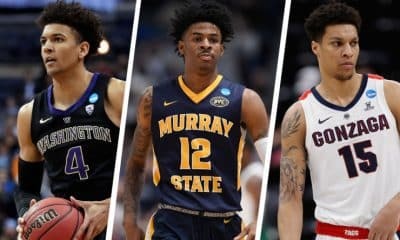 But since James cannot extend his absurd statistical bounties this spring, here are the players worth watching into the second round and beyond. Of note, without James, Tony Parker, Dwyane Wade, Udonis Haslem and Dirk Nowitzki on the floor this postseason, Pau Gasol (136) is highest-ranking active games leader. Trailed by Kyle Korver at 133, it’s a small testament to their sticking power in an ever-changing NBA landscape. Not far behind that pair is Kevin Durant, who will presumably pass Kevin Garnett, James Worthy and Reggie Miller for 37th all-time in postseason minutes at some point in their series against the Los Angeles Clippers. Durant’s name, naturally, will be popping up far more than just that. Regardless of how Durant’s championships in Golden State resonates person-to-person, there’s no denying that the 6-foot-9 finisher is a crash course with history. At 30, Durant just continues to rise up the ranks and his free agency decision this summer suddenly looms large. Just as the rest of the categories reflect, these year-after-year deep Warriors runs can do wonders for your postseason standings — but Durant seems willing to give that all up. Still, outside of his first playoff berth in 2009-10, Durant has only failed to splash more than 140 field goals in just one other season. During the Warriors’ championship-winning run in 2018-19, Durant dropped an absurd 212 buckets on 48.7 percent from the floor. Should he just tally a more human total in this current postseason pace, he’ll be knocking on the door of the top ten. Hell, even if Durant leaves Golden State come July in free agency and his field goals per playoffs revert to a more sustainable number of around 150, it’ll only take another three seasons before he’s challenging the likes of Tim Duncan, Kobe Bryant and Shaquille O’Neal. Durant is destined for greatness, the only question now is how high he’ll go. Yeah, so, Curry owns the three-point line already — that’s well-established. Just last week, Curry became the NBA’s all-time postseason leader in made three-pointers by passing Ray Allen during Game 1 against the Clippers. Also, relevantly, Stephen Curry is only 31 years-old. At this rate, his record has a legitimate chance to become untouchable by the time Curry retires. Saying that Curry is a fire-flinging marksman almost states nothing at this point — but what he’s done in the span of four years would’ve been borderline unimaginable 10 years ago. Along with three championships, Curry has tallied 98, 80, 72 and 64 made three-pointers over the previous four postseason runs. For comparison’s sake, neither Ray Allen nor Reggie Miller ever passed 60 made threes in a single postseason during their Hall of Fame-worthy careers. Needless to say, the gulf between No. 1 and No. 2 could be unfathomably deep in a few years’ time — if not for the efforts of Klay Thompson, his co-Splash Brother. Over those same four seasons, Thompson has been nearly as prolific as Curry has been. Knocking down 57, 98, 41 and 67 made three-point totals, Thompson has flown to No. 6 on the charts in no time. Of course, Curry and Thompson benefit from playing close to 20 games each postseason — just as James has for the last decade — but these are prime sharpshooters simply showing off. Even if Thompson makes a modest 40 three-pointers per postseason this year and next, he’d swiftly pass Allen and James for second on the ladder. 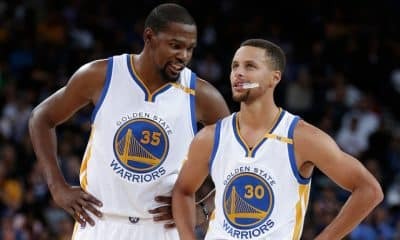 Unless proceedings take a surprising twist this summer, Thompson and Curry may have another half-decade of elite play left in Golden State’s backcourt. Which is to say, basically: Say goodbye to any and all three-point records — both in the regular and postseason — as these two are going to smash them all to pieces — if they haven’t already. Gasol has slowed down as of late, but he’s still near the top of the rebounding ladder for now. The Spaniard has been dealing with an ankle injury since he joined the Milwaukee Bucks in March, but he likely won’t feature all that much once he returns either. With Brook Lopez handling most of the center minutes, it’s unlikely that Gasol does too much damage here. He’s on the backend of his career and hasn’t played meaningful postseason minutes since 2016-17, where he tallied 75 rebounds over 365 minutes and 16 games for San Antonio. Unless there’s an injury, Gasol can reasonably snag a few spot-minute rebounds here and there to pass Kevin McHale (1,253) and Dan Issel (1,255) for 35th all-time. If the Bucks reach the Eastern Conference Finals, there’s certainly a chance Gasol could pass Artis Gilmore this postseason, but don’t expect much fanfare in either case. Elsewhere, much like Thompson, the Warriors’ length four-year chases have sent Draymond Green skyrocketing up the standings too. Green has put up 166, 190, 135 and 180 tallies over that interval, so another run like that would place him around Kobe Bryant and Michael Jordan in the low 40s for the most all-time postseason rebounds. For a second-round selection, Green’s contributions have already left an indelible dent in NBA history with no foreseeable end in sight. This list is popping with recent activity, full of vibrant playmakers and game-changing court visionaries. James, Parker, Rondo and Wade decorate the top of the ladder, however, the next generation is approaching fast. Paul, who deserves to be in the conversation for the best point guard of all-time, sports a career playoff average of 8.8 assists over 93 games. Of course, his numbers have taken a slight hit since he joined up with the ball-dominant James Harden but Paul can leapfrog a bevy of legends this postseason alone. If the Houston Rockets play in 15 games again and Paul averages five or so assists in that stretch, he’d finish on par with Clyde Drexler at No. 19 all-time. In matching Drexler, Paul would pass John Havlicek, Manu Ginobili, Chauncey Billups, Julius Erving and Dwyane Wade — so, obviously, that’s not bad company to keep at all. Paul’s ability to reach even higher will depend on his health and role next to Harden, but his Hall of Fame legacy is already cemented without question. Paul’s aforementioned legacy is furthered thanks to his long-time ball-swiping prowesses — today, the 33-year-old finds himself on the verge of joining another elite group. During the Rockets’ Western Conference Finals run in 2017-18, Paul snagged 30 steals. If Paul were able to replicate those totals for the remainder of this postseason and all of the next, he’d have enough to pass Karl Malone for No. 16 all-time in postseason thefts. Again, Paul’s recent injury history makes it a tough area to predict — but as long as he’s playing, his team has a chance to win. The presence of Andre Iguodala is an exemplification of his impressive career too, particularly so given his recent multi-round trips as a member of the Warriors. Iguodala, 35, has only missed the postseason once since 2007 — albeit playing in just one series clips typically — but he’s been a springtime staple this era. Over Golden State’s historic four-year journey, Iguodala has snatched away totals of 25, 29, 14 and 21 steals, respectively. If he were to manage another 20 or so this postseason, he’d rank close to the top 25 in postseason steals — all in all, a fantastic achievement for the well-liked veteran. Saving the best for last is Serge Ibaka, the NBA’s active leader in postseason blocks. That’s right: Not James, not Gasol, not Howard — Serge Ibaka. The 6-foot-10 brick wall has slowed down from his elite days in Oklahoma City, but he’s still consistently climbing the historical ladder. Ibaka hasn’t missed the playoffs since his rookie year in 2008 and he’s featured in 10-plus games in every postseason since 2009. Back in the Thunder’s heyday, Ibaka swatted away a whopping 52, 59, 33 and 42 shots over a four-year period. North of the border, Ibaka’s postseason tallies have been far more muted — still, he’s got plenty of gas left in the tank. With Toronto looking like an Eastern Conference Finals contender, Ibaka has a real chance of reaching 20 blocks this time around. Should Ibaka do so, he’d be right on the tail of Kevin McHale and Julius Erving for ninth and eighth all-time in playoff blocks. Although Ibaka is extremely unlikely to reach the Hall of Fame himself, his place as one of basketball’s best shot blockers is practically set in stone. James’ departure — along with the massive holes left by Nowitzki and Wade — have given this postseason a completely different feel. But even if onlookers can’t watch LeBron further many of his categorical leads, there are plenty of other narratives worth paying attention to. Given Curry and Thompson’s elite long-distance shooting, Paul’s high-ranking steals and assists totals and Durant’s overall dominance, that means that every game — whether in the first round or the Finals — has historical implications. Which NBA legend will be passed next? Kobe Bryant? Michael Jordan? With this group of stat-stuffing future Hall of Famers, almost nothing is off the table. Houston pushed the Golden State Warriors to the brink last year. 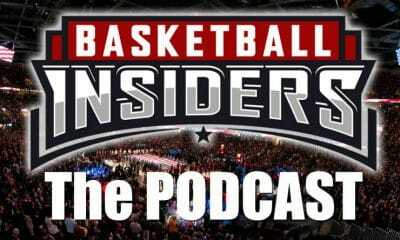 Shane Rhodes analyzes whether the Rockets are now ready to advance to the NBA Finals. In what may be the best eventual series of the postseason, the Houston Rockets and Golden State Warriors are expected to go head-to-head in the second round. Both teams are almost certainly looking forward to their postseason rematch — to show which team is truly dominant over the other. Both the Rockets and Warriors, for the most part, have made easy work of their first-round adversaries; while the Utah Jazz and Los Angeles Clippers, respectively, may play hard, neither have the personnel to contend with the NBA’s most talented teams. Meanwhile, both Houston and Golden State have subjected the NBA to a season-long offensive clinic, and their postseason performance thus far has shown that neither team has lost much, if any steam. But, over the last few seasons, the Rockets have had one goal (beyond the obvious Larry O’Brien Trophy), one obsession: unseating the Warriors dynasty. “It’s the only thing we think about,” General Manager Daryl Morey said last season. They were meticulously built to defeat the beast that Golden State has become in recent years. And now, Houston may have its best chance to topple a giant. While some may argue otherwise, the Rockets are a better team than they were a season ago. Not only are they healthy — Chris Paul was lost to injury in the midst of their Conference Finals series last season — but their defense is better. 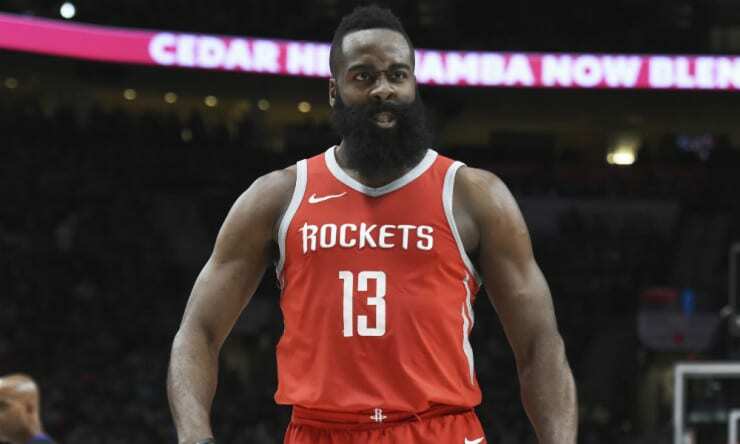 Even James Harden, voted Most Valuable Player a season ago and in line for another this season, has significantly improved, both as an offensive weapon and as a defender. Houston went through multiple regular season stretches that were rife with injuries. Paul missed 17 straight games midseason, while Clint Capela missed 15 of his own around the same time. But now, there are no major injuries, and the Rockets are actively trying to avoid them: P.J. Tucker and Eric Gordon, amid two blowouts, have seen their time on the court dip from a season ago, while Paul is on pace to finish with a career low in postseason minutes player per game (30). A dose of early season adversity seems to have hardened the Rockets mindset quite a bit as well; while they were somewhat carried by Harden’s historic offensive effort, it put the roster in a position where they needed to grind out some ugly wins on the defensive end and it has made them better in the long run. Tucker, an already versatile defensive weapon, has proved even more capable this season while Capela and Paul are their usual stout selves. As for Harden, who has looked to be in the best shape of his career, he has become even more valuable for the Rockets than he was a season ago. He has proven a stout defender, both on the perimeter and in the post, en route to career-high two steals per game (good for second in the NBA this season). Offensively, his shot volume has increased dramatically, but he has remained surprisingly efficient, shooting 36.8% and 44.2% from three and the field, respectively, on 13.2 threes (a career high) and 24.5 shots per game (also a career high). But he has developed more than his three-point stroke. While Harden has made art of the stepback three, he has improved on his ability to draw fouls; Harden was the first since Allen Iverson in the 2005-06 regular season to average at least nine free throws made and 11 free throw attempts per game (again, both career highs for Harden). While he is often criticized for his style of play, he has used it to put the Rockets in a position to win big games time and time again. What may be the best news for Houston, however, is that, through two games, Harden has averaged his lowest postseason minutes played since he was in Oklahoma City. Harden, as have the Rockets in recent years, has tended to run out of gas come postseason time — an entire season playing as physical as he does would leave anyone drained. So, the quicker the Jazz are dealt with, and the more rest the Rockets are afforded, the better. It could certainly prove a fool’s errand to predict the Warriors demise, but there are causes for concern this postseason. DeMarcus Cousins, who played a major role with the team upon his return this season, is likely out for the postseason after he tore a quad muscle. Not only does his absence remove one of the Warriors’ biggest chess pieces, but it gives other teams a matchup they can exploit. Even hobbled, Cousins would have been a superior option to Andrew Bogut, Kevon Looney or Jordan Bell. 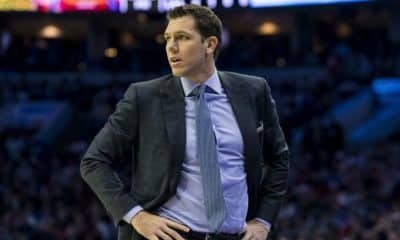 The team recently sustained a historically bad loss to the Los Angeles Clippers, who overcame a 31-point deficit to steal a game at Oracle Arena, as well. While Golden State punched back — and punched back hard — in the next game, it goes to show that any team, even the Warriors, are prone to take their foot off the gas when they feel comfortable. And, perhaps the biggest distraction this Warriors group has faced, the future of Kevin Durant has hung like a dark cloud over the team for much of the season. Now don’t take this the wrong way — short of Durant, Stephen Curry, Klay Thompson and Draymond Green calling it quits after the Clippers series, the Warriors will be far from a pushover. But, they appear to be vulnerable, for the first time in a long time. The Rockets already had them on the ropes last season. If they can take advantage now, Houston may very well find themselves in the NBA Finals come June. The promise from some of the Spurs’ young talent has shown that the rumors of San Antonio’s death were greatly exaggerated, writes Matt John. It’s time for what is called a mea culpa. Around this time last year, this writer wrote an article detailing why it appeared the Spurs’ dynasty was approaching its demise. Manu Ginobili was on his way to retirement, Tony Parker was not the player he once was, and Kawhi Leonard appeared on his way out. After being predictably defeated in five games by Golden State in the first round and losing the aforementioned players the following offseason, it seemed like the end of a glorious era. But it wasn’t. The Spurs’ dynasty is far from dead. San Antonio may not have the same household name on the roster like a Duncan or Leonard or a Robinson as of now. What they do have presently is a promising foundation of talent that should keep the team in the conversation for the next 5-10 years. That much is clear when you see the All-Star caliber players that they have in their arsenal. LaMarcus Aldridge put up yet another fantastic stat line for the Spurs, averaging a near 20/10 on 52 percent shooting despite having fewer touches than last season. Even at 33, Aldridge continues to prove that he’s still one of the most offensively polished bigs in the game. Then there’s DeMar DeRozan. The Spurs have embraced DeMar’s natural mid-range game while also helping him succeed more in other areas than he ever has before. DeRozan put up his most efficient field goal percentage – 48.1 – since his rookie season, and averaged career-highs in both rebounds (6) and assists (6.2) per game. He may not have made the all-star team, but this season was DeRozan’s best as an all-around player. There is also the Spurs’ well-oiled rotation full of players who know their roles. Patty Mills, Marco Belinelli, Davis Bertans, Bryn Forbes and Jakob Poeltl all do their thing. Who would have guessed that Rudy Gay – a player who had a reputation for putting up empty stats – has been an effective backup wing for San Antonio? Yet another example in a long line of evidence that Gregg Popovich can make do with anyone in the NBA. But this isn’t about the star veterans or the role players that the Spurs have molded. This is about the young talent who should be able to keep the Spurs in contender status. First, there’s Derrick White. 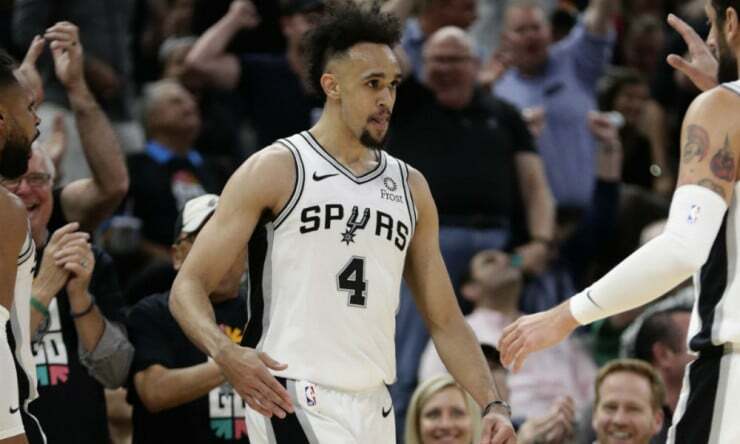 If you hadn’t heard of Derrick White leading up to the playoffs, you’ve probably heard of him by now. 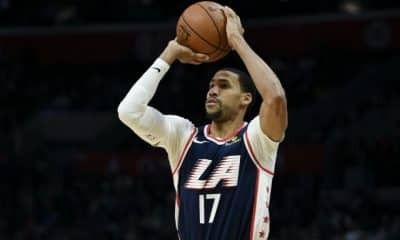 White has exploded on the national stage since the playoffs began, averaging 23 points on 68 percent shooting from the field despite shooting only 23 percent from three, with his most recent scoring outburst against Denver being the standout, putting up 36 points on 71.4 percent shooting from the field. His performance has easily made him this postseasons breakout star. Then again, if you’ve been paying attention to the Spurs all season then you’ve probably known about White all along. After losing Tony Parker to free agency and Dejounte Murray to injury, many wondered where the Spurs were going to turn to run the point. Sure they had Patty Mills but he fit snugly in the second unit. White didn’t get the call immediately, but when he did, the Spurs threw him to the wolves. White was thrust into the starting lineup when they inserted him into the rotation. White wasn’t awful when he got those minutes, but he wasn’t exactly lighting the world on fire. His first two months into the season, White averaged 6.3 points on 43/30/80 splits. But then January came. White tore it up in January, putting up 15.3 points on 60/47/75 splits while putting up 4.2 rebounds and nearly four assists per game. By doing this, it appeared Derrick was more than just a player to use in case of emergency. Both the Spurs and White were on the right track before a heel injury knocked him out for a few weeks. While he came back sooner than expected, Derrick was never able to replicate his play from January. Now, it appears White has his mojo back, and at the absolute perfect time too. And it’s not just about his contributions on offense. Defensively, White has proven to be pretty pesky. Derrick ranks behind only Chris Paul in Defensive Real Plus-Minus at 1.59. The Spurs defense is also a minus-3.8 defensively when White is on the floor, third among active rotational players behind only Poeltl and Gay. Nobody’s saying that White is a franchise player, but the 24-year-old has excelled in his expanded role for San Antonio. If he’s to keep the franchise relevant as they transition away from the Kawhi Leonard era, he’ll need as much help from other young starlets as he can. Murray was originally believed to be the Spurs’ prized young prospect when the season began. Murray was a jack-of-all-trades point guard for San Antonio. 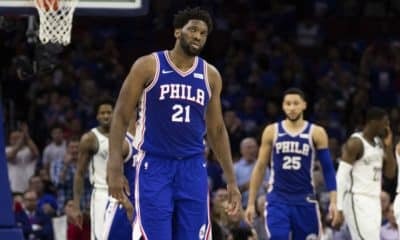 At 6-foot-6, he was a tenacious defender – he made the All-NBA Defensive 2nd Team last year in just his second year – and was aggressive on the boards, corralling 5.7 rebounds per game. Dejounte was believed to be pretty raw offensively given his youth, but with a bigger role on the team, many believed there was more for him to build off of. That was until he tore his ACL during a pre-season game. After losing Kawhi, Danny Green, and Kyle Anderson, the Spurs’ defense could not afford to lose its expected best player on the defensive end. The Spurs clearly managed to do fine without him, but their defensive rating dropped all the way down to 111.2, which ranked 19th in the league. Had Murray been able to play, that rating probably would have gone up as well as where the Spurs were seeded. 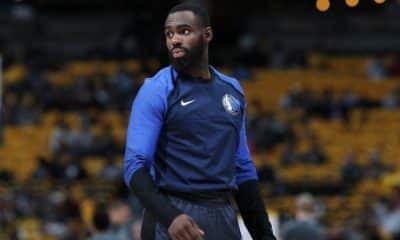 With his body type and the Spurs’ love for versatility, Murray should be a welcome addition to the team next year when he comes back healthy. After the expectations that were placed on him, Dejounte should be extra motivated to show the world that he is part of the Spurs’ next generation of young talent. Now that he has another young piece to play off of, both he and White should give San Antonio a strong two-way backcourt that the team hasn’t seen in all its years of glory. These two may very well bring the Spurs back to the promised land. Just not in the way that previous Spurs have done so. Many believed that the Spurs were finished after they traded one of its all-time players in Kawhi. We should have known better knowing what Pop can do. Should Murray and White pan out, the Spurs’ expiration may not be brought up again until the 2030’s.